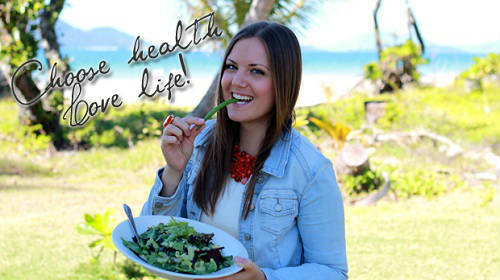 Are You Sabotaging Your Health – 4 Steps to Living Longer! Sometimes you are not aware that you do things against your health. A recent survey shows that 86% of people around the world sabotage their own health. 4 Steps To Living Healthier And Longer! 1. Get active for an hour or more every day! Turn off your TV, computer or mobile for 2 hours every day. These free hours try to be active and go for walking, exercising or dancing. 2. Choose water as a drink! Stop drinking fizzy and unhealthy drinks. Avoid alcohol! Learn to love the water, because water means life. 3. Eat more fruit and vegetables! 4. Eat less than yesterday! Try this amazing technique. Everyday eat less calories then yesterday.